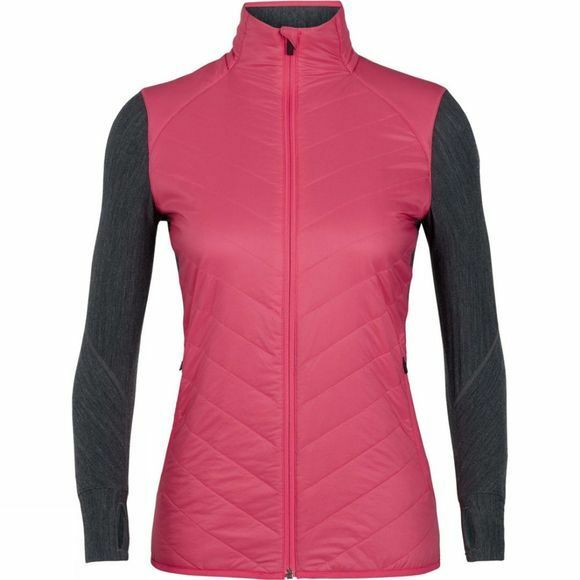 The Womens Descender Hybrid Jacket from Icebreaker is a highly technical midlayer top ideal for cold-weather training, climbing or skiing. The Descender Jacket is a hybrid-construction midlayer that uses strategically-zoned insulation for warmth and protection where you need it most. In the front panels and shoulders, we used our MerinoLOFT insulation, which provides a warm, breathable and natural alternative to synthetic insulations, with an ultralight Pertex Quantum Air face fabric. In the back and arms the Descender Hybrid features our super-soft and quick-drying terry corespun fabric—nylon fibers wrapped in merino wool and blended with Lycra to offer added durability and strength while maintaining stretch and next-to-skin softness. 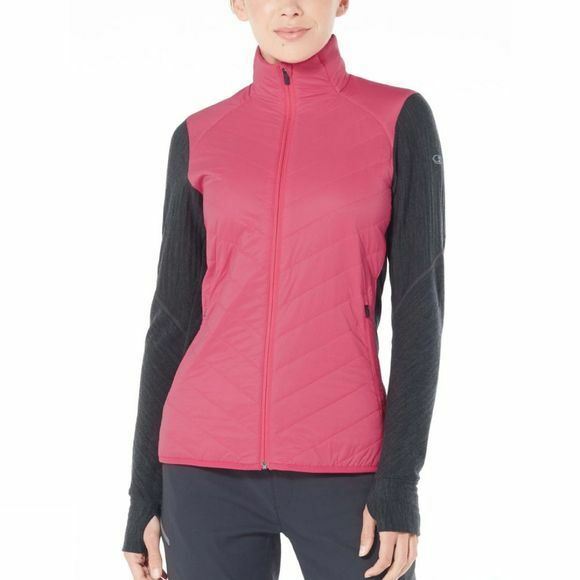 Offset seams prevent chafing, and zippered hand pockets secure small essentials.